The face of fitna or the face of Al-Qa’ida’s “stealth jihad” ? 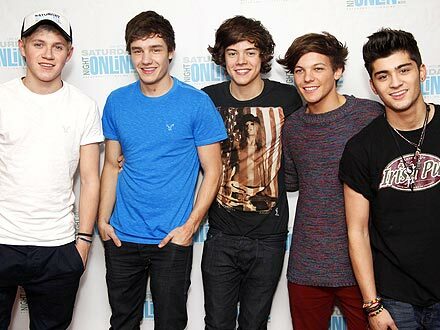 With album sales of 2.7 million worldwide, a commercially successful world tour, a debut atop the Billboard 200 in the US, and a ubiquitous radio single, “What Makes You Beautiful,” British boy band One Direction are one of the most successful musical acts in the world. The group is made up of five former contestants on the popular British televised singing competition The X Factor, Zayn Malik, Niall Horan, Harry Styles, Liam Payne, and Louis Tomlinson. 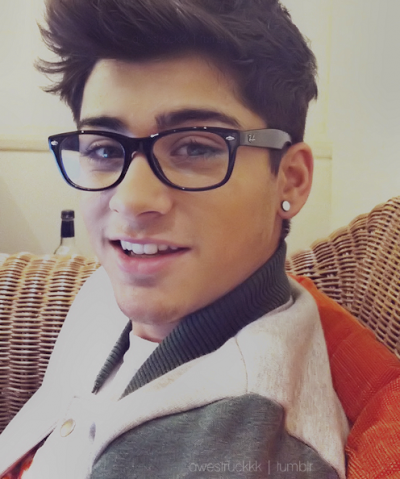 Aside from their global commercial success, One Direction recently attracted a spurt of media attention for the personal religious persuasion of one of its members, 19-year-old Malik. Last week Malik’s religion, which first attracted media attention in a 2010 article in British tabloid The Sun, was discussed in an online MSNBC article that highlighted the seeming dichotomy between being a rockstar and a Muslim. On June 6, a right wing American blogger took aim at the teenage pop star and accused him of trying to “pimp” Islam under the cover of One Direction’s pop harmonies and catchy, if somewhat formulaic, lyrics. Muslims, fans and non-fans, have been discussing his religion and whether some of his life choices are or are not “Islamic” since his appearance on The X Factor. The recent attention to Malik’s religion and much of the ensuing discussion about it highlights the ways in which Muslim identity is simplified and stereotyped in the minds of many people. For some Muslims, Muslim identity rests on a simplified notion of who is and is not a Muslim, one that ignores 1400 years of cultural history and the complexity of identity, while for anti-Muslim polemicists Muslim identity rests on stereotypes and ignoring, or outright ignorance of, reality. One Direction: Ambassadors of “Boy Band Jihad” ? Malik’s status as a pop star even elicited a legal opinion (fatwa) on an English-language question-and-answer web site, Islam Answers. In response to a request from a questioner for proof that Malik’s choice to be a singer was forbidden (haram) “for Muslims” so his “very large” Muslim fanbase can be shown his deviance, respondent Abu Zahra, whose specific scholarly credentials are unclear, marshaled selected Qur’anic verses, hadith, and exegetical and juridical references attacking music and pursuing a career as a singer. Alleging that the teenage singer is causing social discord (fitna), Abu Zahra wrote, “It is indeed very saddening to see that the majority of the Muslim Ummah [worldwide community] has fallen into one of the greatest traps of shaytan [Satan]—Music,” he wrote. “Not only that, shaytan has blinded them so much that they think there is nothing wrong with it. This unfortunate reality is indeed one of the signs of the end of times.” Music, it seems, is not only haram but eschatologically so. 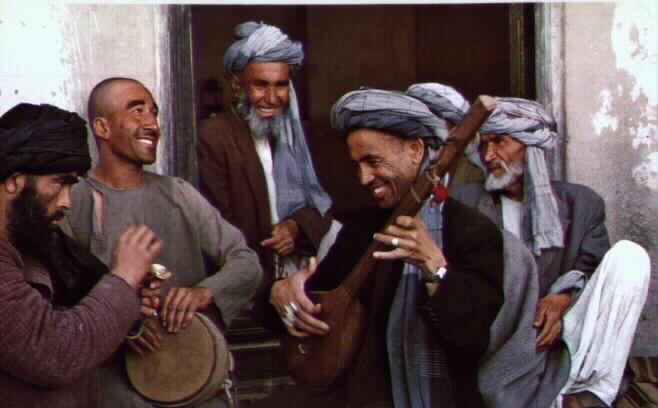 His ultimate verdict was that listening to or being a pop star are “totally forbidden in Islam” and the one who does either is “a major sinner.” The flourishing of music in Muslim societies around the world is a socio-historical phenomenon that seems to have escaped him. To buttress his opinion that music can only ever be a tool of the Devil, Abu Zahra, in the bulk of his response, cites a long list of selected Qur’anic verses, hadith, and quotes from famous medieval Muslim jurists and exegetes such as Muhammad ibn Jarir al-Tabari, Ibn Hajar al-‘Asqalani, and Malik ibn Anas. In summation, Abu Zahra wrote, “It should be clear that it is totally forbidden in Islam to become and listen to ‘pop-stars,’ and that such a person is a major sinner.” He concludes by claiming not to be encouraging hatred of Malik per say but rather hatred toward what God and His prophet have declared worthy of enmity, in this case music. Muslim youth should also be careful, he wrote, in choosing role models because on the Day of Judgment people will be grouped with those that they kept company with in life. Therefore, he finished, those who strove to be like the Prophet Muhammad and God’s other righteous prophets and messengers will benefit from their company whereas those who chose singers will join them in hellfire. 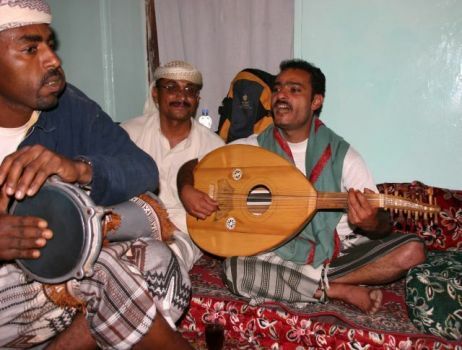 It is important to note that prohibitions on music or certain forms of music are not unique to Muslim conservatives and indeed are held by many Muslim jurists, Sunni and Shi’i. The juridical discourse on the issue is deserving of a post on its own and is beyond the scope of this piece. However, the purpose of this post is not to venture an opinion on what “is” and “is not” permissible according to the views of Muslim jurists or to pass judgment on their views. Rather, it is to argue that lived religious identity is multifaceted and highly individualized, thus defying imposed templates seeking to establish “normative” identities. Abu Zahra’s response led to a debate in the comments section between those supportive of his opinion and those who disagreed. The debate centered on whether all singing has been judged by religious scholars to be forbidden. Some commenters argued that there is a difference between the recitation of religiously-themed songs (anasheed) and pop songs. 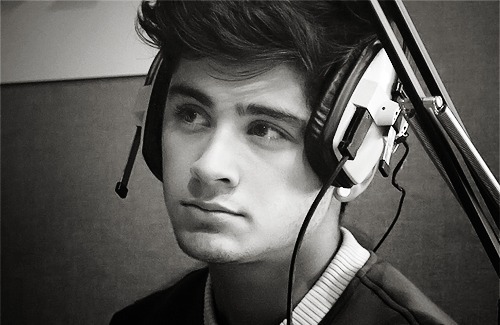 Others stated that it is Malik’s behavior, such as smoking and his decision to get tattoos, which is haram, not his singing per se. Similar sentiments are expressed in threads about Malik’s religious persuasion mentioned previously. Concern is more frequently expressed with regard to certain behavior rather than his status as a musician. These arguments were met with fierce criticism from other commenters who fully endorsed Abu Zahra’s opinion. On the opposite end of the ideological spectrum , in a June 6 blog post, Debbie Schlussel, a far right wing American blogger well known for her anti-Muslim writings, dubbed One Direction “boy band jihad” and zeroed in on Malik, accusing the teenager of “pimping Islam” on “millions of young girls” around the world. To support her claims she pointed to his four Tweets discussed previously and engages in a “close reading” of them that would make a textual critic nauseous. Malik, she wrote, fasts during Ramadan and Tweeted the “shehada (sic),” which she described as “the militant statement Muslims say in their prayers every day” and the “Muslim oath of martyrdom that comprises conversion to Islam.” She went on to prove further her ignorance of the faith she hates so much, writing that the meaning of the shahada is that “only Mohammad is a real prophet” of the monotheistic, Abrahamic God. In reality, the shahada affirms Islam’s core beliefs that “there is no god but [the one] God and Muhammad is His messenger” and if Schlussel had consulted any introductory book or class on the religion she’d know that the Islamic tradition recognizes many other prophets in addition to Muhammad, including Abraham, Moses, and Jesus. Schlussel also cited Tweets Malik wrote about Ramadan, the Islamic lunar month of fasting. On August 1 of last year he wrote, “First day of rosay tday, who’s fasting?,” using an Urdu word (روزے) for the fasting Muslims do during the Islamic lunar month of Ramadan. He followed this Tweet with a second the same day writing, “Ramazaan Mubarak to everyone that is :).” At the end of the month, on August 30, he Tweeted “Eid Mubarak to everyone today :).” Five days before, on August 25, he re-Tweeted a Tweet in Arabic of the Muslim testament of faith, the shahada, “there is no God but the [one] God and Muhammad is His messenger,” following it the same day with its transliteration into English. She neglects to mention that he also Tweeted on Christmas as well to his Twitter followers (for example, here and here), not to mention for New Year’s Eve. If her textual prowess isn’t convincing enough, Schlussel pointed to a photograph of Malik wearing a keffiyeh scarf, which in her mind is the “official garb of Islamic terrorism” rather than a popular form of traditional attire in much of the Middle East, Africa, Iran, Central Asia, Afghanistan, and the Indian Subcontinent as well as a popular recent fashion item. She missed the photograph of him wearing the red poppy badge (see below) that in British Commonwealth countries is worn as a sign of respect for soldiers killed in battle. Need more proof? If so, Schlussel pointed to the Arabic tattoo on his chest. Her alarmism at any use of Arabic, which is also spoken as the mother tongue of millions of non-Muslims, would likely be assuaged if she could actually read Arabic and thus tell that his tattoo is actually the name “Walter,” his grandfather. Then again, sustained Google research would have also revealed this fact. To Schlussel, any practice of Islam as a faith tradition is a form of “extremism,” thus she sees “jihad” in lyrics such as “Baby, you light up my world like nobody else, the way that you flip your hair gets me overwhelmed, but when you smile at the ground it ain’t hard to tell, you don’t know you’re beautiful.” This is an Al-Qa’ida nasheed if ever there was one. Media coverage of Malik’s personal religious beliefs, as well as many of the reactions to it by both Muslim and non-Muslim discussants online, are predicated on notions of monolithic, “normative” typifications of Muslim identity. For many, non-Muslims and Muslims alike, his status as an international pop star with pierced ears and tattoos wearing designer jackets and jeans stands in contrast to their constructions of what a Muslim is and is not. To some Muslims his lifestyle puts him outside the faith and they have essentially rejected him from the fold, considering him at best to be a lapsed and impious Muslim. Ironically, anti-Muslim polemicists are at the same time working in overdrive to “prove” that the British teenager is not only a Muslim but that any practice of Islam is akin to joining Al-Qa’ida. Musician or Schlussel’s “lone wolf” ? In reality, Islam is a diverse and often contested religious tradition and individual Muslims interpret their faith in a myriad of different ways. Muslim identity (or really a diverse array of individualized identities) cannot be boiled down to only a literal textual reading of certain sources, as some Muslims do, nor can it be accurately equated with fringe groups such as Al-Qa’ida and other militant groups, as some polemicists attempt to do. Religious identity is lived and thus highly individualized even in faiths that emphasize the importance of the collectivity. In an ideal world this would be more widely understood with regards to Islam and the world’s Muslim communities, as it is with other religious traditions such as Christianity and Judaism, to name just Islam’s Abrahamic cousins. Of course, in an ideal world the personal religious beliefs of a teenage British pop singer from Bradford would also be deemed neither threatening nor newsworthy.